I just wanted to clarify if the shim stock is in fact 0.02″, as 0.20″ would seem rather thick! I use back bevels on all my blades, seems the only way to be sure of a decent edge with minimal work. I use a guide and a “collar” that slips over the top end of a blade, stopped against the back edge of the guide it gives me my back bevel angle and I can flip the guide and work the back as I go through the grits without having to remove and replace the blade in the guide. Thanks! Ugh, I need an editor! Yes, I meant 0.020″, as in 1/50th of an inch. I corrected the first sentence now. At least I got it correct the first time in the calculation in the last paragraph. I would distinguish what is being done with the Ruler Trick from a true “back bevel.” The latter is intended to raise the attack angle in bevel-down planes, and is thus a much larger angle. For example, I keep a separate blade for my Lie-Nielsen #4, which has a 50° frog, back beveled 10° to yield an attack angle of 60°. I use this to plane difficult woods that are prone to tearout. I make the back bevel using a honing guide. That said, your setup sounds interesting but I do not know how much of a bevel you are making with it. The Ruler Trick, as it is taught by David Charlesworth, cannot be executed with the blade still in a honing guide. His excellent video, linked in the post, makes this clear. Rob, Thanks for the reply..and sorry to be the one to point out your mistake! I use the system I describe for both full on “back bevels” on my bevel down smoother blade and for a slight angle to aid sharpening my bevel up blades. For the bevel down I use a much larger collar which gives me about 10 – 15 degrees over my standard 45 deg. frog. I live in the tropics so most wood I work has interlocked grain. My approximation of the ruler trick uses a smaller collar. 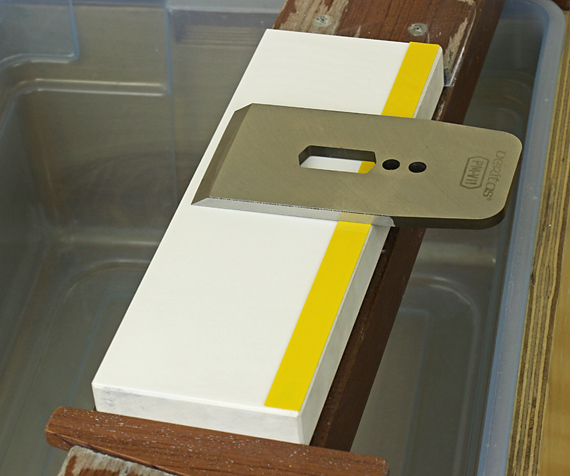 The collar runs on the surface of my sharpening station, next to my polishing “stone” (a piece of hardboard charged with cheap finish polishing compound). This allows me to achieve a very low angle on the back side while allowing the guide to sit clear of the “stone”. I haven’t measured the angle but it’s minimal, and works for me. I like to remove the burr between each grit so I came up with this solution to avoid resetting the blade in the guide. If you’re confused by my description I could send you a photo for clarity! Hey, that sounds like an interesting setup you’ve got. Yes, please email a photo. Notwithstanding your solution, I do think that using a honing guide for sharpening along with the Ruler Trick is problematic because to go back and forth between honing opposite faces of the blade requires one to repeatedly release and reattach the guide. 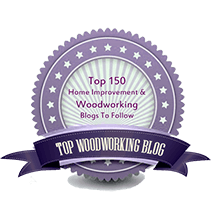 In his video, David completes the secondary bevel (on the front of the blade) on the finest stone, and then hones the back using the Ruler Trick just once, and with that, he’s done. I have the highest regard for his teaching and knowledge, but still, I like to rework each side of the blade. By the way, I hope I’ve correctly edited your comment as you wanted. Thanks for the further reply.. I too respect Mr.Charlesworths work..But as I commented I prefer to remove the burr between each grit to feel how I’m going and to avoid bits of coarser burr being deposited on my finer grit (I use abrasive paper on glass and it tends to bed itself in and scratch things…I think my trick works..Well, it works for me! I was having a look today in light of this conversation and I’m pretty sure I’m under a degree on the back side. I’ll try to snap it and send you a shot tomorrow…See what you think. Your off-the-stone method of employing the ruler trick is really cool! You can work both sides of the blade, using the ruler trick on the back, without removing the blade from the honing guide. I wouldn’t be able to use it with my sharpening station setup http://www.rpwoodwork.com/blog/tag/sharpening-bench-series/ but for your type of setup it looks like it works beautifully. By the way, David only removes the burr only on the finest stone, so grit transfer is not an issue in his method. However, as I mentioned earlier, I do think the ability to go back and forth, from the face to the back of the blade, is valuable. Your method facilitates that. 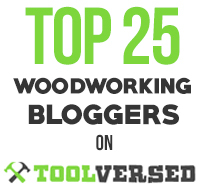 I suggest you submit your idea to Popular Woodworking or Fine Woodworking magazine so lots of people can see it. I checked the math, you are correct sir! .57 degrees!